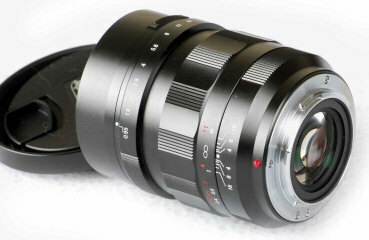 Voigtlander M43 Micro 4/3 17.5mm f/0.95 IN STOCK! The 17.5mm f/.95 is part of Voigtlander's super fast f/.95 foursome for M43 cameras. for M43 video use, including the new Blackmagic M43 Pocket Cinema camera! The Voigtlander 17.5mm f/0.95 includes the lens hood and two front lens caps. One caps fits the lens, another cap fits the lens hood. Focal length 17.5 mm, equivalent to 35mm Field of View on 35mm full frame!